During World War II, the Iowa State Teachers' College provided housing, facilities, and training for units of the U.S. Navy and the Army Air Corps. After the 1942 Fall term, the women housed in Bartlett Hall moved to the newly-completed Lawther Hall to make room for approximately 1,000 WAVES (Women Accepted for Volunteer Emergency Service). The WAVES remained on campus until May 1945. The IOWAVE booklet contains mainly photos, but also includes an essay The Navy at Cedar Falls 1942-45. The January 1943 issue of the Alumnus publication highlights the WAVES, as well as The Hobo Day (cut day) and Dance with "jiving". 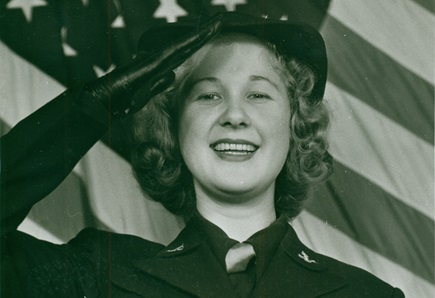 The IOWAVE magazine focused on the activities of the WAVES who were being trained at the Naval Training School temporarily located on campus, and the IOWAVE newspaper included many articles regarding the day-to-day life of the WAVES trainees, as well as articles chronicling the ongoing progress of the war effort.